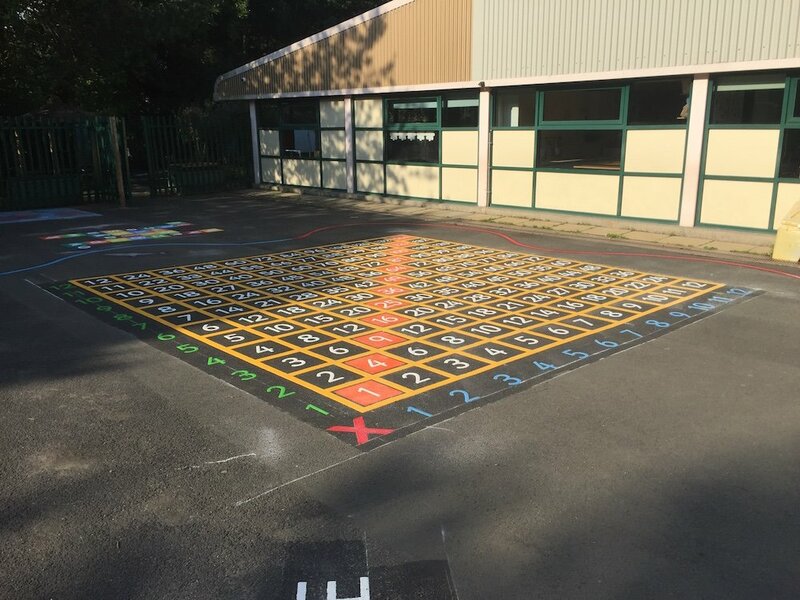 Snakes and Ladders is a traditional game played with two or more children, ideal for children of all ages, KS1 upwards. 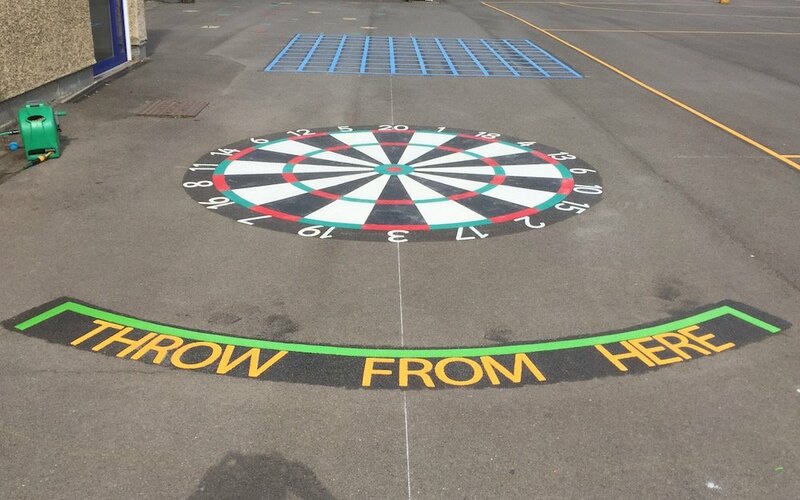 The board game can be adapted to be used in the school playground with pre-formed thermoplastic markings. The player throws the dice and whichever number it lands on is the amount of squares the player moves on the board. The winner of the of the game is the first to reach the final number on the board. 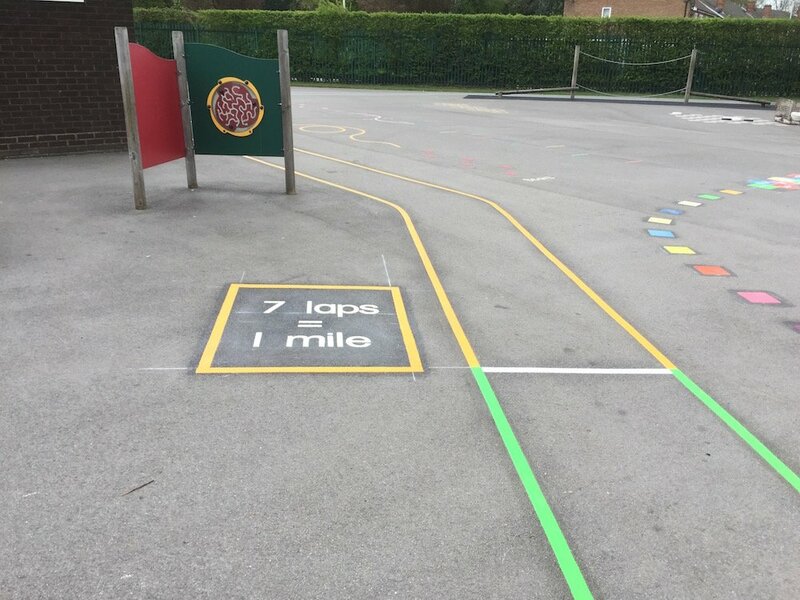 This is made more fun and difficult by having to negotiate the snakes on the board, if the child lands on a square with a snakes head on it, they have to slide down to the bottom of the snakes tail. Players can also slide up the board if they land on a ladder which can suddenly put the player in the winning position. This is a fun and exciting game as the element of the unexpected is involved. Snakes and ladders traditionally has 100 square boards. 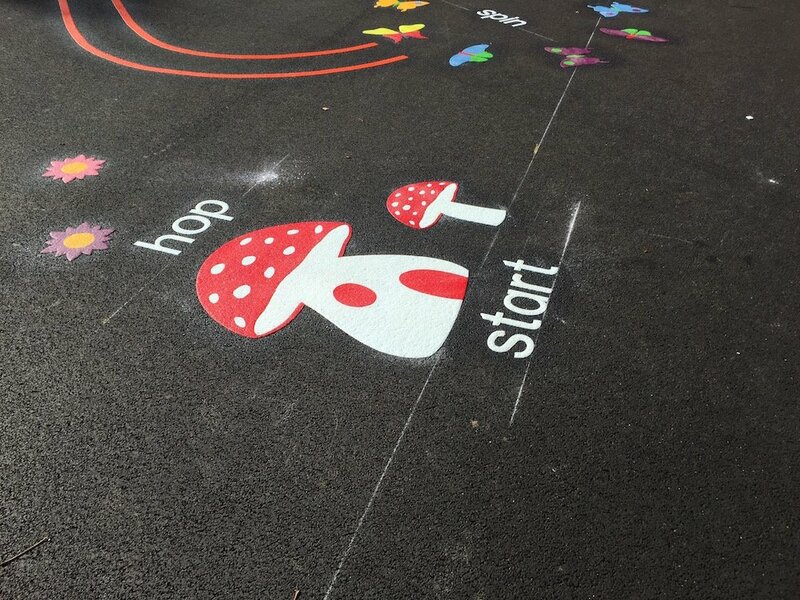 At first4playgrounds we have the traditional board design but also have designs that have 36 squares or 64 squares which are ideal for younger children of preschool age and upwards that are just starting to developing their number recognition and counting skills, and to suit your budget or play area size. 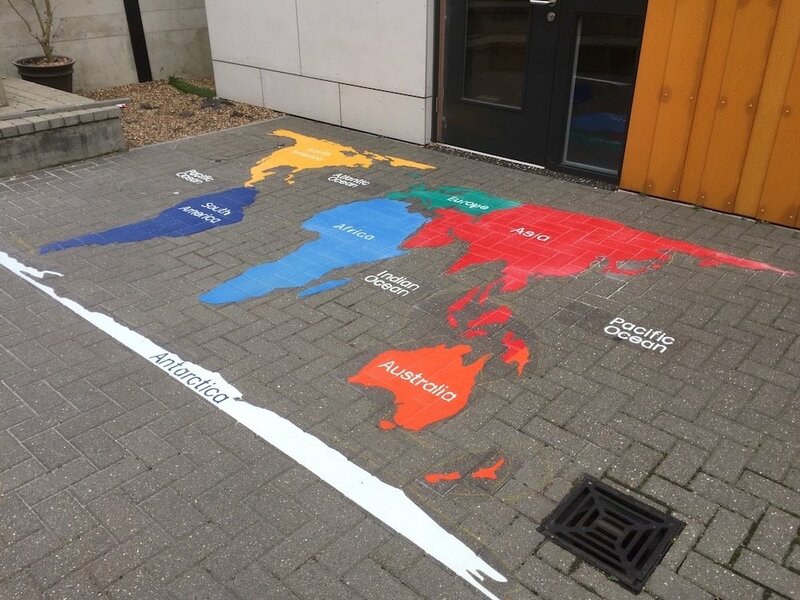 This is a fun and educational game which helps children to identify numbers, sequences, counting, adding as well as learning how to interact with others in a positive social and competitive environment. 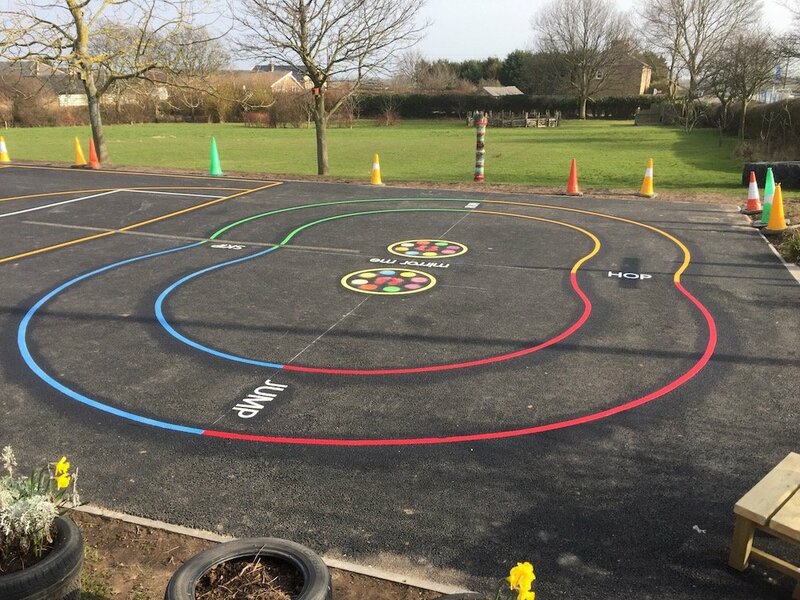 Goal setting and reacting positively with unexpected outcomes are also skills that are developed whilst playing snakes and ladders . 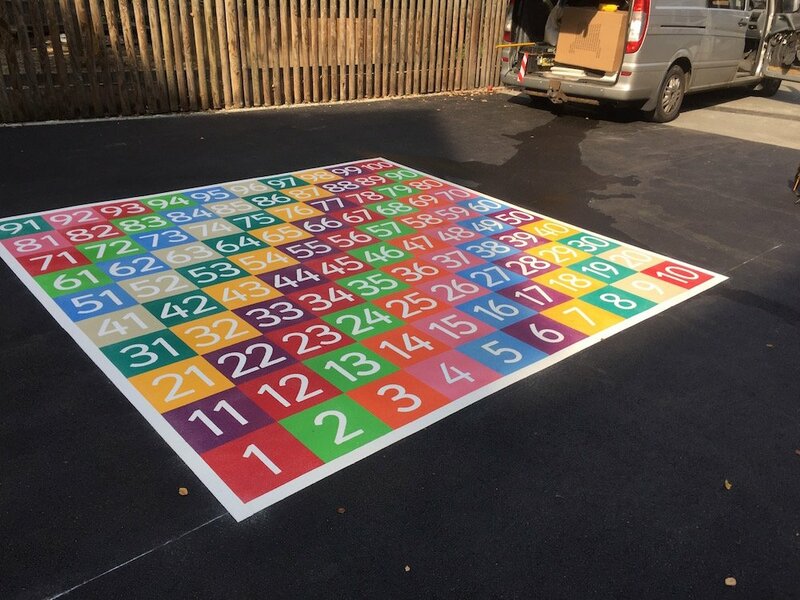 Research has suggested that snakes and ladders can vastly improve preschool children’s number recognition and maths skills, helping with identifying the shapes of numbers and sequencing compared with children that have not played the game.